Boyfriend T-shirt from McQ Alexander McQueen with a pure cotton construction. 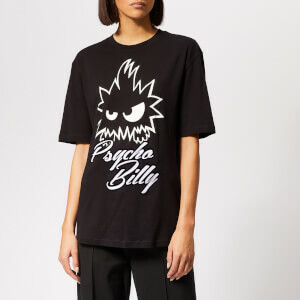 The tee showcases a relaxed fit with short sleeves, a rib-knit crew neckline and a printed motif with flocked 'Psycho Billy' detail. A straight hem completes the design.